After a self-released single and full length LP, a Latin American tour, a debut album on Epitaph (1994&apos;s ear-shattering Pledge of Defiance), numerous arrests for Punk and Disorderly conduct, and a shitload of Food Not Bombs charity shows, Total Chaos&apos; five years of existence in smelly Ontario, CA have culminated in the release of Patriotic Shock. 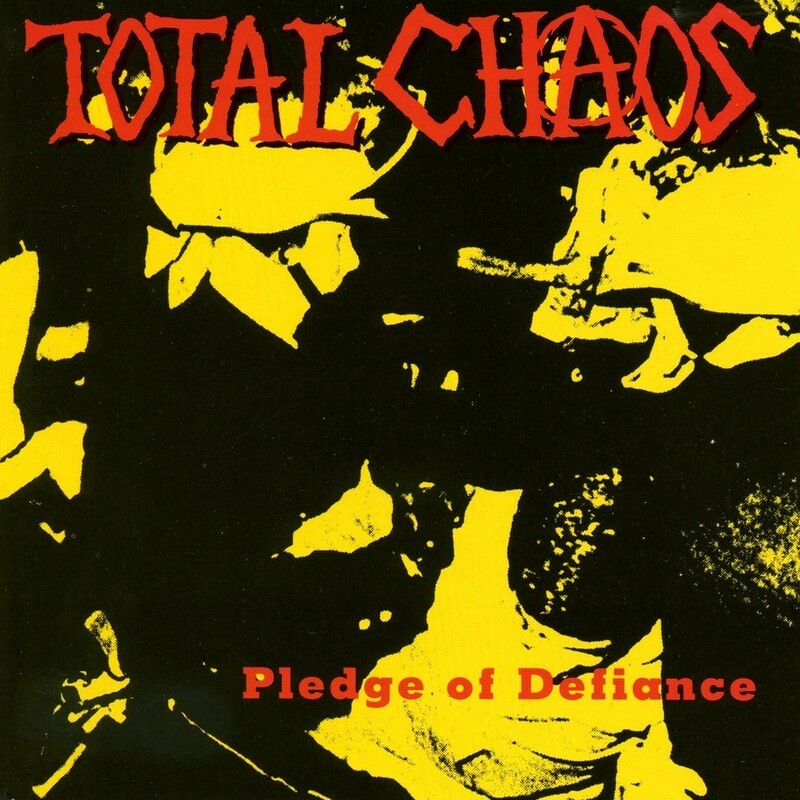 Pledge of Defiance was the toughest and most deviant record ever released on Epitaph, but with the addition of Germ on guitar, Total Chaos has created a slab of the crustiest punk rock plastic ever recorded. 13 songs of vitriolic angst directed toward the bigwigs on Capitol Hill, racists, Nazis, conformity, and other ills of society.